ReplyManager: Rule Ranking: What Does It Mean? Rule Ranking: What Does It Mean? Rules are the heart of ReplyManager. Each rule serves as a set of instructions that tells the system what to do with an email when it comes into the program - which folder to route it to, what auto-response to send, what category to tag it with, etc. 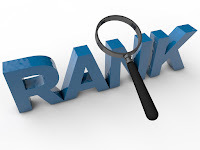 Because each account can have an unlimited number of rules, it's important to understand that the order in which they are ranked will affect how they are evaluated. The system allows you to rank these rules in order of importance - ranging from 1 to 10, with 1 being the most important and 10 being the least important. More important rules will be evaluated before the less important rules. If you have several rules set to a ranking of #1 (and applied to the same email account), the system will randomly select one of the rules to route that email. For this reason, it is important to rank them accordingly. Tip: When using weekend auto-responders or after-hour auto-responders, make sure to set them at a higher ranking than any other rules to be sure they kick in first and your response is sent.